Here's a custom typographic illustration I created for UC Berkeley a couple months ago. They were foil stamped on beautiful deep blue cardstock and sent out to donors and alumni for the New Year. I just love how they turned out – nothing beats the excitement of getting a fresh stack of samples back from the client! Peep more of the project here. I love holiday cards, but I kind of love New Year's cards even more! Receiving a card in the New Year is kind of like finding that extra french fry in the bottom of the bag: you think you're done and you're feelin' pretty satisfied, but wait—there's more! I illustrated our family portrait and had the cards printed with Minted, using Annie Clark's foil-pressed template, Gold Rush. 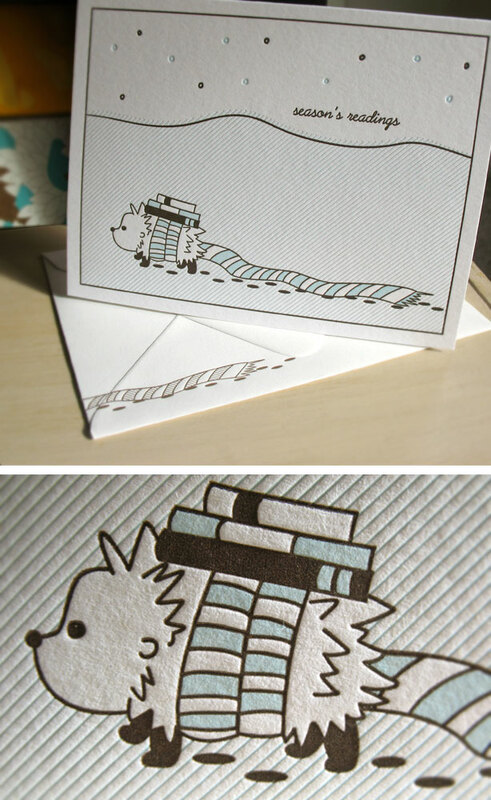 The design was actually intended to be a wedding thank you card, but I'm all for a little creative repurposing! Minted has an incredible knack for styling and pairing beautiful stationery, art prints, and decor! I'm honored that my Golden Gate Bridge print is included on their current homepage as part of a "Modern Deco" showcase, along with talented designers Phrosné Ras and Kristie Kern. Tower Bridge gold foil art print. Number two of my Bridge series: Tower Bridge! If you pine for London as much as I do, this one's for you. These limited edition, gold foil prints can be purchased from Minted with or without frames, in two different sizes - 8" or 11" squares. Brooklyn Bridge gold foil art prints. I have a new limited edition art print series over at Minted! Here's the first of three: Brooklyn Bridge. Made just for those who "heart NYC" and for folks whose walls are not complete without a bit of bling. Minted has a great variety of frames to match your decor style, but of course you can purchase it sans frame too. 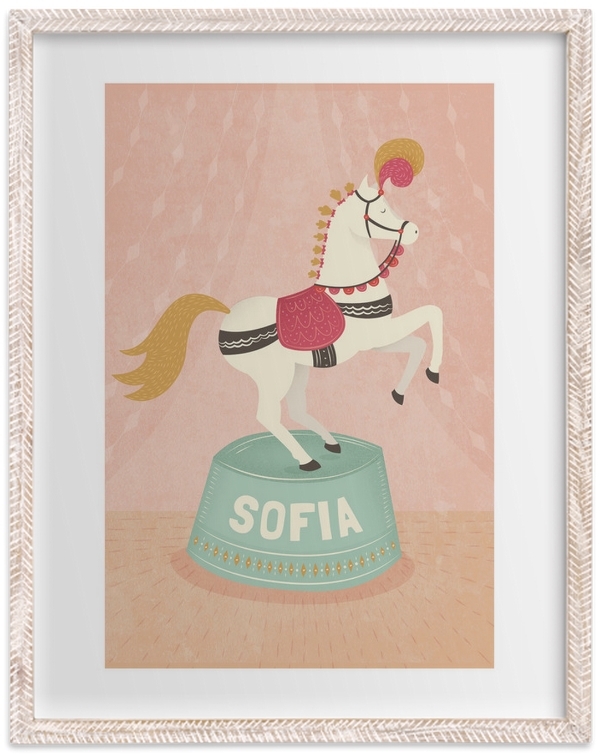 Circus Pony children's art prints for Minted. 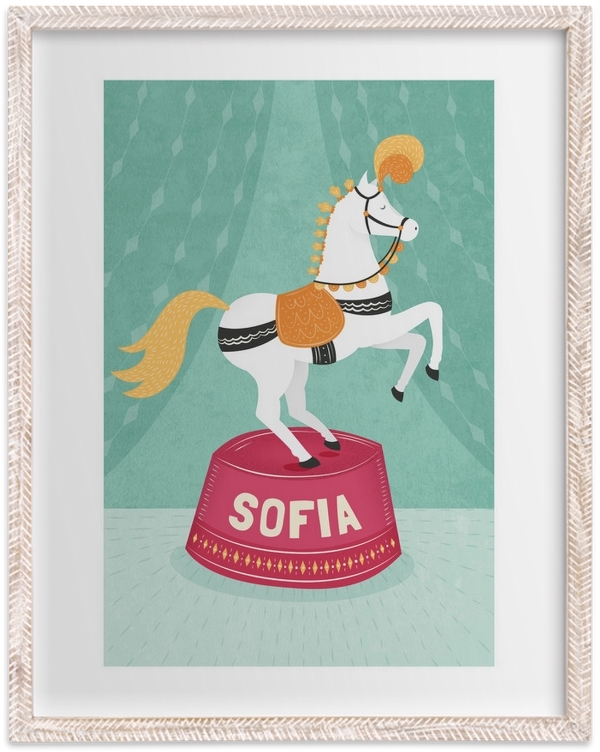 One of my illustrated art prints, Circus Pony, is now for sale at Minted! Customize your little one's name and let them choose their favorite color - Cotton Candy or Aquamarine. Limited edition, exclusive to Minted. The folks at the Free Press Summer Fest asked me to design a poster for The Black Angels, who'll be one of the Fest's headliners in June. This was such a neat project to work on. I knew I wanted to avoid any clichéd psychedelic imagery for this design, since it's almost expected and, well, just not my style. So, I channeled the likes of Saul Bass / Noma Bar / Jason Munn and decided to represent the band via a large, modern "crest." They're tambourine-lovin' and whiskey-fueled, and singer Alex Maas always wears his signature newsboy cap... so, I ran with it. The poster will be screen-printed with three colors, and available for sale early summer. Stay tuned! 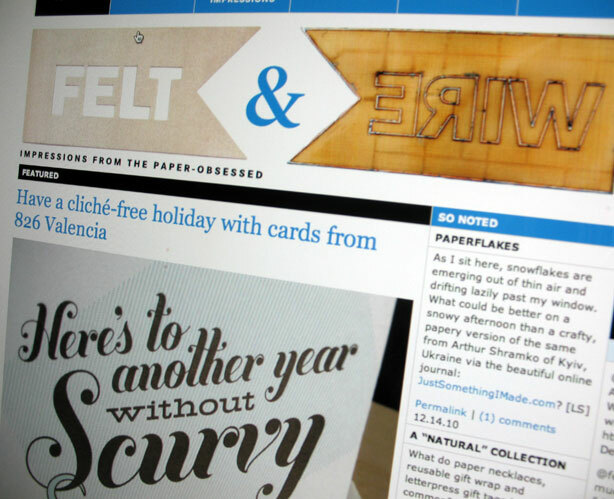 Visit Felt & Wire today and check out what's on the front page. Totally rad! 826 Valencia holiday cards are here! I'm so very excited to announce that the holiday cards I designed for 826 Valencia are now for sale online and at the Pirate Store! Each bundle holds six A2 letterpressed foldover cards: three designs, each with matching envelopes. All proceeds will benefit student programming at 826 Valencia. Big ups to Dependable Letterpress for a killer print job. Cards printed on Mohawk Renewal, white (80% PCW recycled). Envelopes from Waste Not Paper, Eco-White. "Here's to Another Year Without Scurvy"